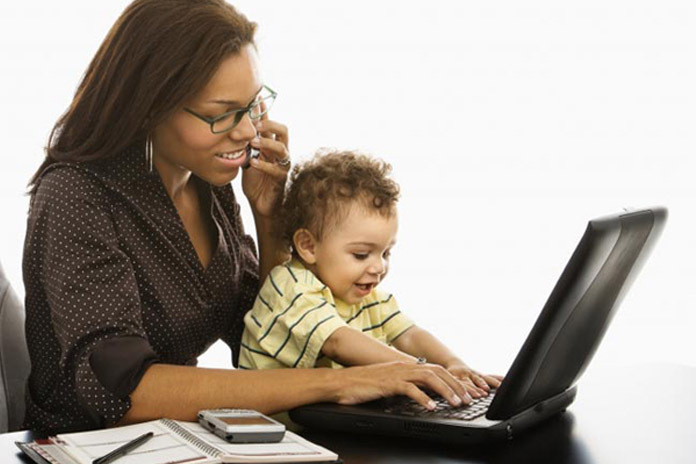 How this generation of working mothers impacts the next generation of workers – AskSalome! With a generation’s worth of data about women and the labor force, we know that more women in the workforce has a positive impact on the economy. Beyond the economic benefits, the productivity and purpose that come with a career can improve our mental health and psychological well-being. At the same time, for many professionals, raising children offers personal benefits of its own. But many women wrestle with the idea that balancing a career with family could have a negative impact on their child’s development. Parents—both working and non-working—strive to be active and attentive caregivers. And for those that want to prioritize parenting alongside their professional lives, new data has uncovered some encouraging news that dispels some of the myths that keep working parents up at night: kids with two working parents might actually grow up to be better equipped for the workplace than their counterparts. New data from Harvard Business School suggests that daughters who grow up with working mothers earn as much as 23% more over their lifetimes than daughters of stay-at-home moms. That’s just one data point in a growing body of evidence suggesting that rather than facing disadvantages at home, children of working parents—part of the next generation of inventors, founders, and workers—are inspired by working moms daily. Smart businesses are doing their part to support today’s working families, allowing them to demonstrate the merits of being a working parent for their own children. From guaranteed familial leave to homework help, a growing number of companies are introducing non-traditional benefits that help empower working mothers to thrive, not just after the birth of a newborn, but well into parenthood and their careers. Women’s participation in the US labor force has increased significantly over the last six decades. In 1950 only a third of women worked—today, that number has nearly doubled (60%). And as the children of the first generations of working mothers reflect on their own careers, they’re proving that growing up with a mother employed outside of the home may present more pros than cons. Not only do daughters who grow up with working mothers tend to earn more in their own jobs, 33% of them hold supervisory jobs compared to 25% of the daughters of mothers who don’t work outside the home. But the benefits extend beyond the economic: Working moms are also role models for their sons, helping to shape more empathetic behavior and attitudes. When boys raised by working mothers enter the workforce, they tend to be more supportive of women at the office, more accepting of the concept of gender equality, and sensitive to creating a home environment that encourages their daughters to excel. What’s more, children raised by working mothers tend to develop social, speech, and fine motor control skills earlier as toddlers, in part because they are often socialized in daycare at an early age. Working women are good for families… so what can businesses do? Yes, empowering working parents is good for the bottom line. Helping mothers thrive at the office makes for a more productive workforce and frees up resources dedicated to training and hiring—losing top talent can be costly. But the smartest companies recognize that the best workplaces aren’t defined solely by quarterly financial results: by supporting parental needs, businesses can play their part in the successful nurturing of tomorrow’s leaders. Thus far, some of the most successful support programs for mothers returning to the workforce have focused on helping ease the transition back to the office. For one, JPMorgan Chase & Co.’s ReEntry program offers a 14-week long reintroduction to corporate life for professionals who have taken time away from work. Regardless of their credentials or experience, many well qualified women have trouble navigating the resume gap after taking a career break. Programs like ReEntry provide the kind of dedicated support and resources that let top talent break back into highly engaging and rewarding work roles. Beyond transition and re-entry support, research suggests mentorship is critical to helping working women thrive. It makes sense: advice, critiquing, and empathy can go a long way for new parents grappling with many “firsts.” Parents@JPMC, a resource group for working parents at JPMorgan Chase, pairs new parents returning to the workforce with established parent mentors who can provide much needed perspective and advice. As any parent of teenagers can attest, however, the most challenging moments of parenthood might not come in the first few months. The best companies understand the scope and span of parenthood, and are crafting support policies to help experienced working-parents thrive throughout their careers. Working Mother publishes an annual list of the top 100 companies with the best benefits, and from offering college coaching for teens (63% of the top 100 offer it) and even homework hotlines, to sharing or helping to pay the cost of daily care or even providing backup care (92% of the top 100), these are just some of the ways top companies are responding to the needs of employees raising children across the parenting life cycle. The successes of a generation raised by working women as well as stay-at-home mothers should help dispel any notions about whether moms should feel conflicted about continuing to work after becoming a parent. It’s ultimately a personal choice. But those that do decide to work will be heartened by expanded parental support programs representative of an encouraging shift in how companies perceive and engage working parents. Ultimately, regardless of how, or when—or even if—you work, employers enabling more parents to actively participate in their child’s development is valuable for businesses and families alike. This article was produced by Quartz Creative on behalf of JPMorgan Chase & Co. and not by the Quartz editorial staff.